York isn’t the first to feel that way. A proper installation of audiovisual (AV) technology includes sound, video, lighting, control, and projection systems. And for as much as people demand these systems to work, a seamless user experience is not easy to come by. 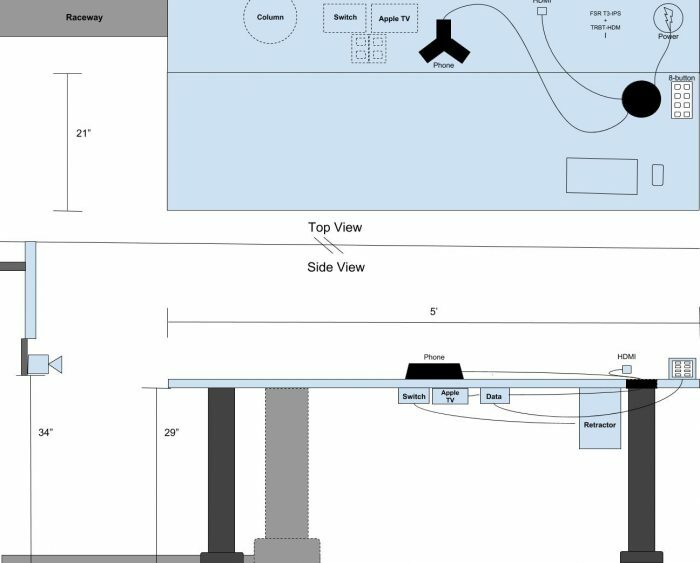 When the ITS Audiovisual service launched in April 2017, its goal was to make it easier for the UM-Ann Arbor community to use audiovisual capabilities in conference rooms. The breakthrough could not have come at a better time. Today’s meetings demand rich multimedia and conferencing capabilities that work well only with thoughtful AV design. We all know the feeling: too many meetings are interrupted or cut short by AV equipment that is either malfunctioning or difficult to use. At U-M Library, part of the problem stemmed from outdated equipment that had accumulated in the conference rooms. In one case, there were even two cameras in the room. Which one worked? 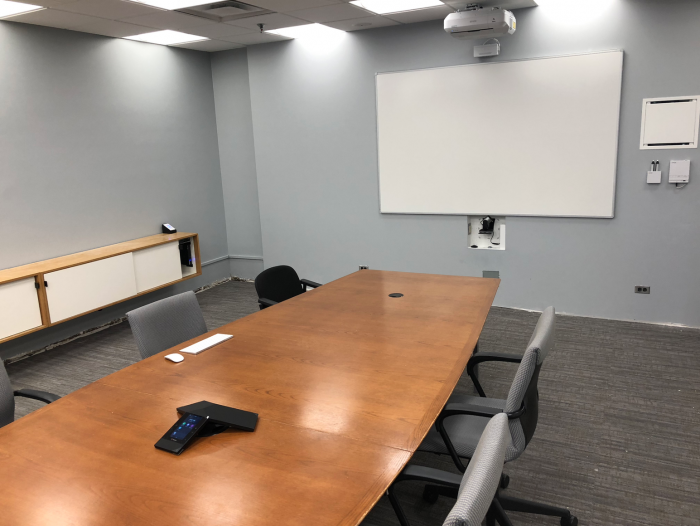 Over the past 12 months, ITS has equipped those five rooms, plus a Library IT staff conference room, with state-of-the-art videoconferencing, content sharing, and more at the push of a button. Literally. A small, eight-button controller in each room allows people to switch to available sources, like a Mac mini, Apple TV, or a laptop connected to an HDMI cable. Another focal point was conferencing. Before the AV overhaul, people attending Library meetings remotely were at a disadvantage. Audio issues made them feel like they had to interrupt the conversation abruptly, and they could not hear every speaker in the room. Now, no one has to worry about the audio, and remote attendees can participate with confidence. Strategically placed, virtually invisible ceiling microphones ensure everyone in the room can be heard while speaking at a regular volume. And while BlueJeans is the preferred videoconferencing service at U-M, an in-room desktop computer managed by MiWorkspace allows Library staff the flexibility to join conferences via WebEx, Skype, or any other service. This is important when meeting with people outside of the university because it allows flexibility in which platform to use. With a dedicated MiWorkspace system in the room, staff can rest assured everything is already configured. To learn more about the ITS Audiovisual Service, visit the website at its.umich.edu/audio-visual.